There are many ways to earn money with the help of the internet today. Of which we have already told you about the ways to make Top 5 money. But there is no other way to earn more money than affiliate marketing. With its help, you can earn as much money as you want and it is absolutely true. Because a lot of people are doing this. Affiliate marketing: is very easy because it can be done by every person who uses the internet. Affiliate marketing is also a great option for those bloggers who have not been approved by blog Google Adsense. He can easily use it. People who use affiliate marketing. He considers it better than Google Adsense. Because this is more than earning Google Adsense. What is affiliate marketing and how to get it started Today, we are going to give you complete information about this? If you want to know about affiliate marketing, please read this post carefully. Many online sellers run affiliate programs. Like any Amazon, Sanpdeal, Flipkart, eBay, ClickBank, etc, anyone can join any of those websites by joining the affiliate program. After which he gets a commission This commission varies from product to individual. This process is called affiliate marketing. After this, you have to generate a link to that product to sell any of the same available on that website. And then to promote it online and when you buy a product by clicking on that link, you get a commission. Now the biggest question is how to affiliate marketing. Because of this, you have to promote the product. Which he can reach more and more people and you can sell that product. So now we are going to tell you some ways you can affiliate marketing. This is the best option for affiliate marketing. Many bloggers earn money through affiliate marketing. You can also start Affiliate Marketing by creating your own blog. By promoting them with affiliate program according to your blog niche. This is the second best way to affiliate marking because today's logo likes to see Youtube after Google. Where you get a lot of traffic, you can promote your product. You can use the things you use when making videos in their affiliate link description box. To sell a product, they can make a video. This method can be used by people who spend more time on Facebook. Also, people who do not have Youtube channel and blog can also batch the affiliate product by creating their Facebook page and Facebook group. You can also start affiliate marketing using Twitter. You get a lot of traffic here too. If you are a good follower on your twitter, then you can promote your product's affiliate link. The logos used by the smartphone are WhatsApp on their phone. So if you want, you can also affiliate marketing using WhatsApp. Find online best deals and share their affiliate link in the Whatsapp group. Affiliate link and Google Adsense can be used together. The Affiliate Program can join any It's absolutely free. You do not have to have a website to affiliate marketing. You can use the method you want to sell. In the affiliate program, you get commission only when you sell the product. 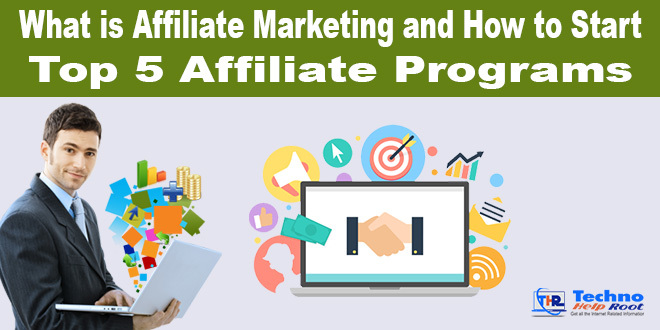 To find an affiliate program you can search on the internet such as the Amazon affiliate program, Flipkart affiliate program etc. To find out if the affiliate program is available on a website, check the link to the affiliate program in its footer. Friends, we have told you in full detail what is affiliate marketing and how to start affiliate marketing. I hope this post would have been helpful to you. If you like our post, then definitely share it with your friends. And if you have any questions tell us in the comment box.